As we remember, on 22 April this year, in a Paris sale devoted to pieces connected with the dancer and choreographer Serge Lifar, a curious Dadaist assemblage given to him by Coco Chanel created a surprise in garnering €120,564 (Arts Talents Enchères). On 22 September, the same auction house offered four similar works, which led to a positive hurly-burly of bidding and totted up a tidy total of €1,878,840. These anonymous assemblages evoking one of the world's most famous fragrances, Chanel No. 5, rallied bidders from all over the world, mainly Asia. 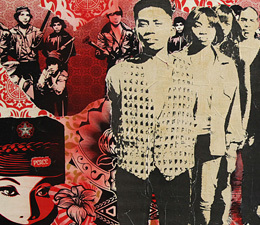 In a decade, urban art sales have posted a global growth rate of over 90%. 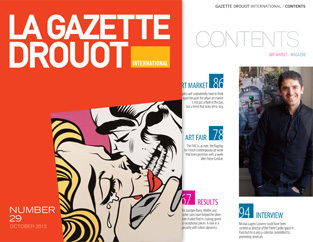 This is what Artprice established in its 2011-2012 report on contemporary art, devoting a section to it with a speaking title: "The next generation". This rate, says the report, was "calculated according to price indexes regardless of generation between 1 January 2002 and 1 June 2012". It should be stressed that this exponential performance is largely due to the fact that the market was in its infancy at the beginning of the century, concentrated in the hands of the very few galleries that had ventured along these uncertain byways.